Are you keen to market yourself to international student recruiters? Do you have an agency or service that can help universities. colleges and schools around the world? The International Student Recruiters Marketing Database is ideal for email marketing to help you reach out to important contacts at universities, colleges and schools. 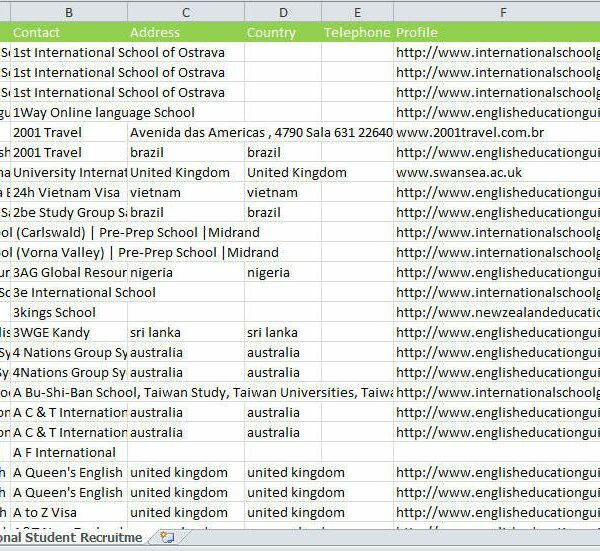 The Database has now been updated to include 10 000+ international student recruiters from around the world who will be interested to partner with you. 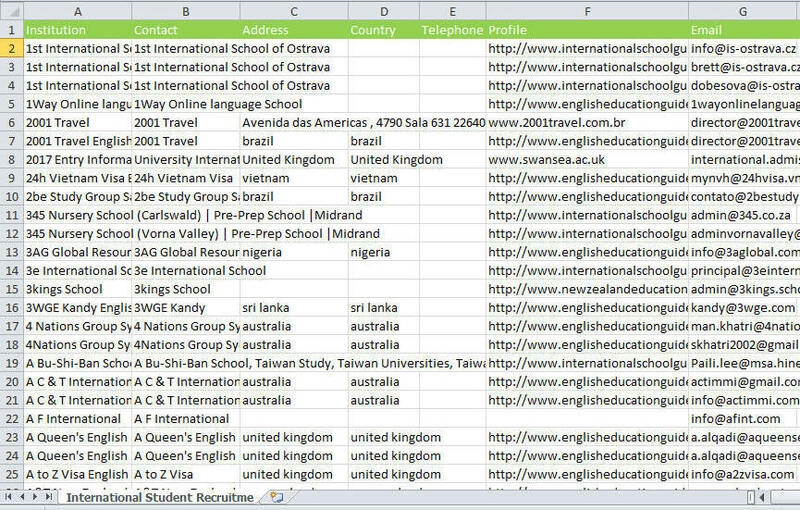 We make every effort to ensure the quality of the data in the International Student Recruiters Database. Student Recruiters contact details are derived from our International School Guide website- agents are invited to update their contact details on a quarterly basis. Email addresses are periodically verified as are website addresses to ensure no invalid addresses or broken links.